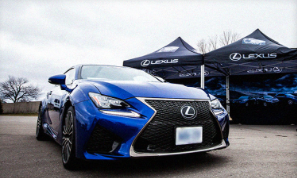 In Conjunction with Lexus Canada, Lexus of Edmonton is proud to announce the highly anticipated Lexus F Sport Performance Tour on May 22, 23 and 24, 2015 at Southgate Centre. This is is your opportunity to view all the top Lexus F Sport models such as the Lexus GS, IS, RC and NX F Sport. The much desired Lexus RC F will also be on display. 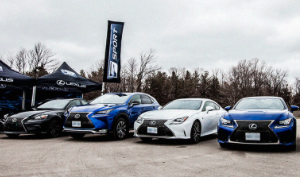 All the Lexus F Sport models will be showcased in one convenient location at Southgate Centre. Not only will the Lexus F sport models be showcased, this is your chance to put these F Sport models to the test. The Lexus F Performance Tour will have driving exercises which will include: slalom, hard acceleration, and expert cornering all within a controlled environment. Have questions? no problem, Lexus ambassadors will be on hand to answer all your questions so you can gather all the information you want on your favourite F SPORT model whether it be the Lexus IS, GS, NX or RC.